5 1/8" Douglas Fir Bead Board is a popular product for ceiling and wall paneling. And it's reversible! Flip our 5 1/8" bead board over and you have bead board paneling! This product is produced from standard vertical grain (VG) Douglas Fir. This product is ideal for ceilings and walls. 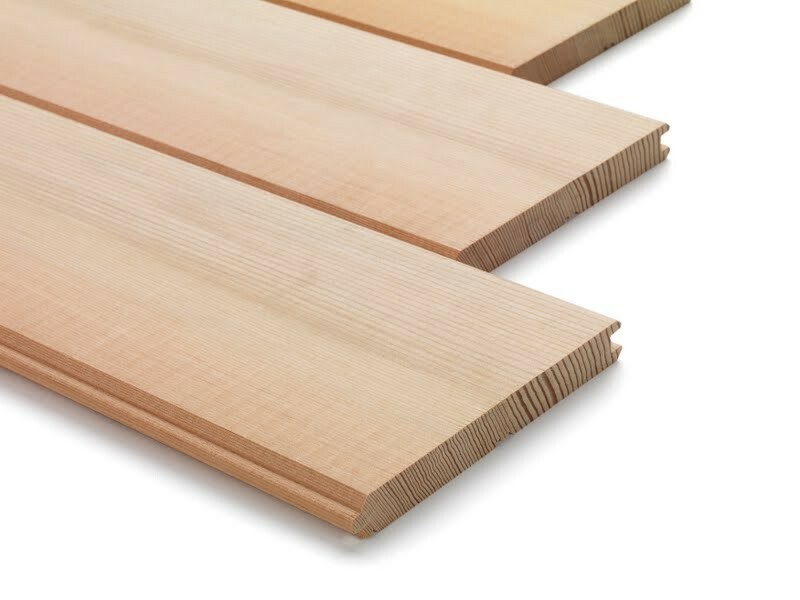 5 1/8" CVG Paneling with V-groove - Standard VG is available for purchase in increments of 25.